The much sought after Coffea arabica species of coffee is indigenous to the mother continent, Africa. 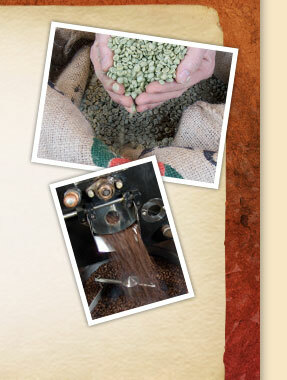 Classic African arabica coffees are generally known for their big, perfume bouquet and wine-like flavors. To the left is Caffè Fresco Specialty Coffee Roaster's current selection of coffees from Africa. Click on a African origin to view its individual page. The time span when Coffea arabica coffee was discovered in the lush Ethiopian Highlands near the city of Harar is roughly between 500 and 800 B.C. Imams held the drink in high praise due to its "awakening" powers. Soon after, arabica coffee made its way into Yemen where it was first experienced by Europeans, who through colonialism and imperialism brought the species further east into Asia and then west to America.